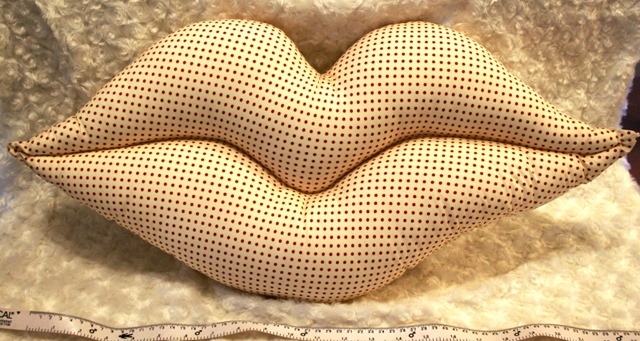 A fun, hand made cushion, in the shapes of Lips. 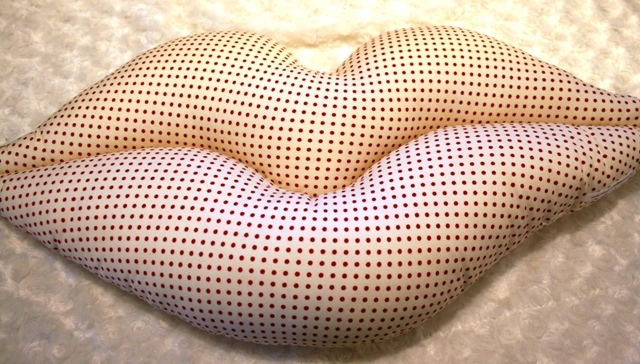 Made in cream cotton with a dark red polka dot pattern and filled with hollow fibre filling. it measures 24" (61cm) x 12" (31cm) and will make a fun edition to any room or a unique gift idea.